This is very, very cool. Hi Ben. Do you sell prints of your lovely art? 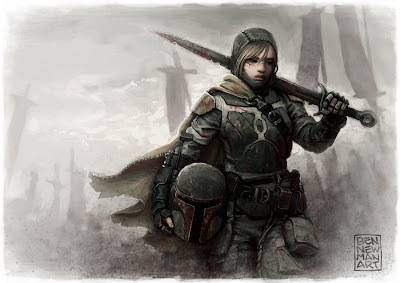 Bobba fett is a clone and this girl is probably from the old mandalorian days.